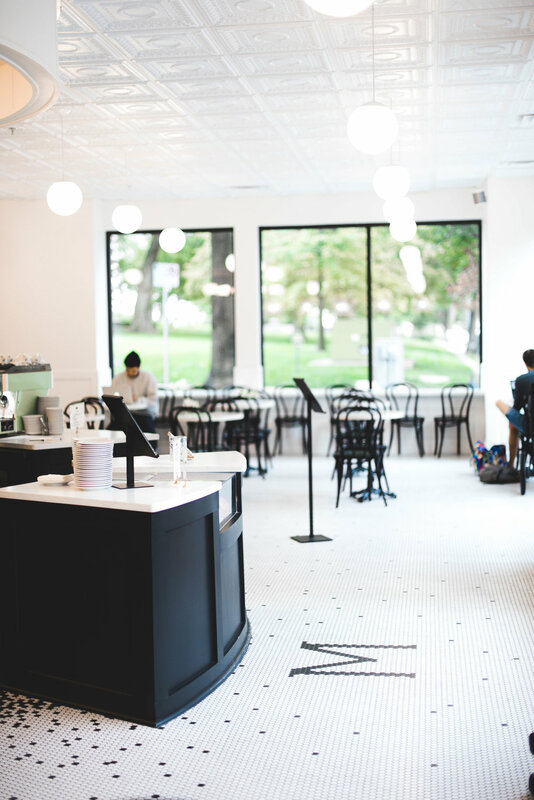 A few months ago, I posted on instagram about our spontaneous trip to Kansas City and our adventures over that weekend, including our visit to Monarch Coffee. Thus, I thought I’d go ahead and follow up with a more thorough review of this beautiful coffee shop! And that’s where I’ll start: this place is seriously gorgeous. Throw away your ideas of the hip and casual coffee shop, and embrace an entirely different experience that Monarch presents: one of formality met with friendly and fantastic service and a relaxing atmosphere. I knew I was in for a treat when I saw fresh flowers on our table. The barista came to us and offered us water, and I was very pleased by this. The gesture immediately reminded me of Germany, of home, as this is what they do at nearly every restaurant there. But, back to the aesthetics. Just look at this place! Monarch presents a beautiful, formal style, with a wonderful, classic black and white color scheme. One of my favorite parts of our visit to Monarch was how pleasantly quiet it was that morning, which I found odd as it was a Sunday. As a family entered the shop and parked their stroller near the entrance, I also enjoyed the amount of space that Monarch provided for customers. The child of the family playfully ran among the tables with ease, and I felt that Monarch was not too formal to allow customers to enjoy this simple, sweet moment. 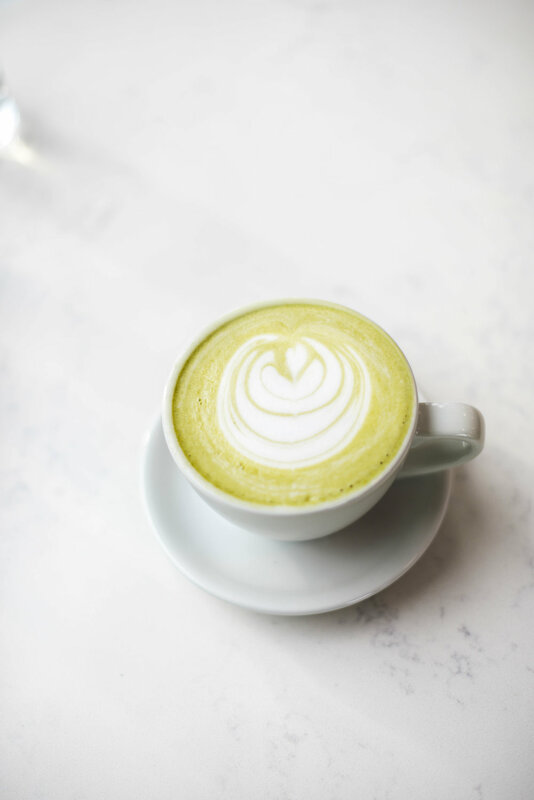 When I first arrived, I ordered the matcha latte, and it was magical; the perfect balance between the grassy and latte/milky taste. I greatly enjoyed it. Yet, after finishing my matcha, I began to smell something truly wonderful, and I asked the barista what she was making, to which she informed me of a seasonal drink that Monarch offers: a sweet potato latte with a toasted marshmallow. As odd as a sweet potato latte sounded (I had never heard of such! ), I had to try one, as the smell of the marshmallow and drink was too wonderful to miss. I ordered it immediately, and to this day, it may be one of my favorite lattes I’ve ever ordered and had the pleasure to taste. My only disappointment is that Monarch is not closer to home! BUT, I (and you!) can order coffee directly from Monarch, here. I hope you guys enjoyed this review!